Royalty-free stock illustration of an African-American woman with afro hair fuming with anger. She is wearing an orange t-shirt, blue jean shorts, and red sneakers. 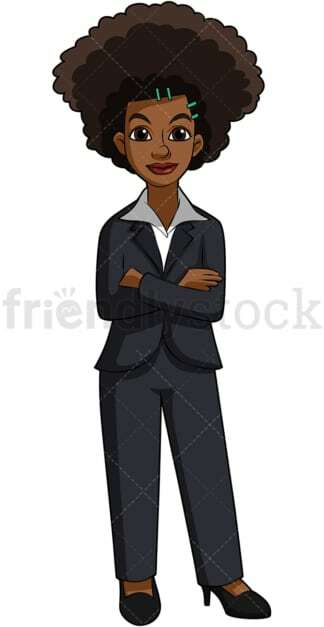 Royalty-free stock illustration of an African-American woman with afro hair wearing a business suit and crossing her arms over her chest, looking confident. 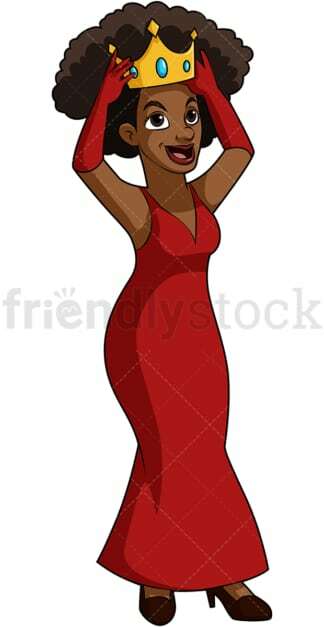 Royalty-free stock illustration of an African-American woman with afro hair, wearing a classy red dress and gloves, putting a golden crown on her head, looking excited. 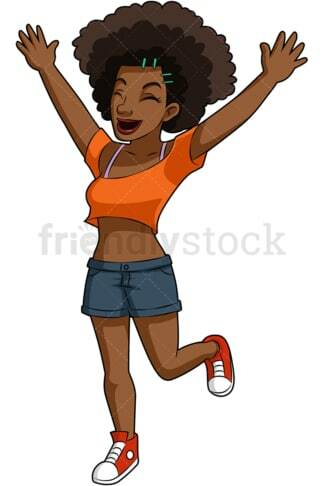 Royalty-free stock illustration of an African-American woman with afro hair looking excited and cheering with her arms wide open. She is wearing an orange t-shirt, blue jean shorts, and red sneakers. Royalty-free stock illustration of an African-American woman with afro hair, on her knees, respectfully praying with her hands while having her eyes closed. She is wearing a green dress. 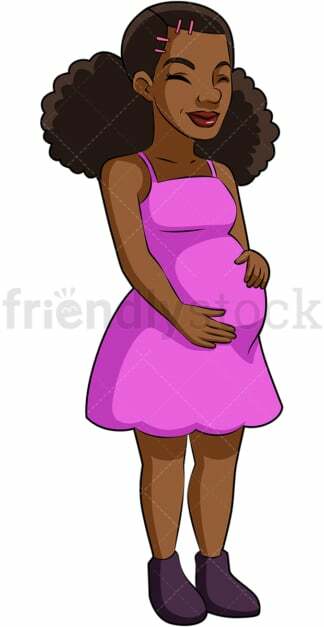 Royalty-free stock illustration of a pregnant African-American woman with afro hair wearing a pink dress and looking happy as she gently touches her belly to feel the baby. Royalty-free stock illustration of an African-American woman with afro hair looking sorrowful and almost about to start crying. She is wearing an orange t-shirt, blue jean shorts, and red sneakers. Royalty-free stock illustration of an African-American woman with afro hair, sitting behind a desk with some books and a lamp on it and holding a pencil near her mouth while she studies for school or an upcoming exam. 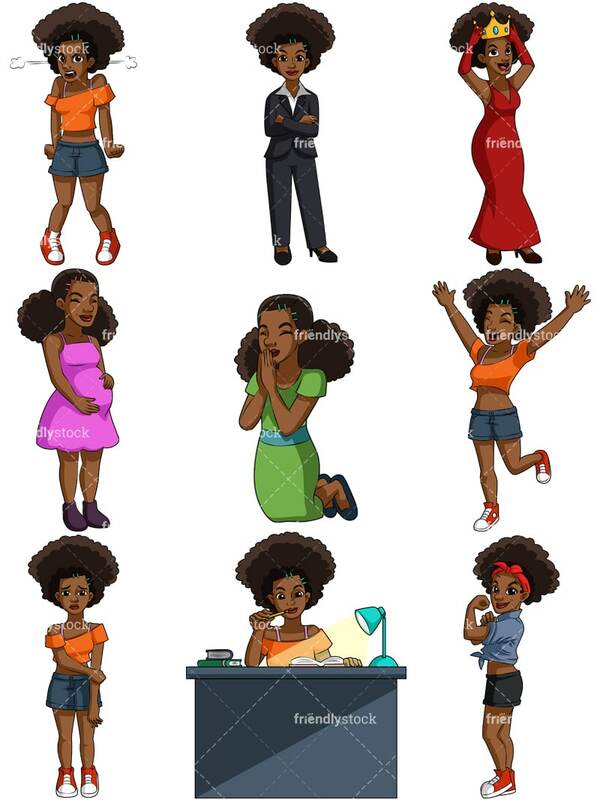 Royalty-free stock illustration of a strong African-American woman with afro hair flexing her muscles and looking confident. She is wearing a red bandana and sneakers, shorts and a t-shirt.